This image is magical! Just lovely. What a neat shot!! Love it!! 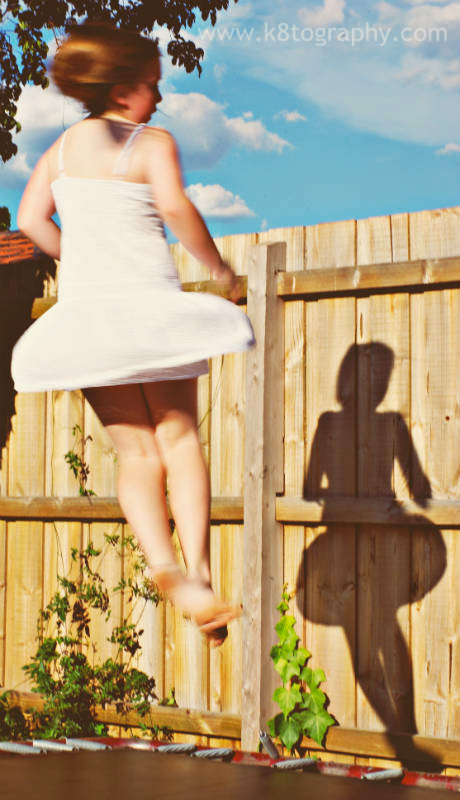 Great shadow picture! I love the colours in this one as well. perfect shadow!! love the movement of the girl! Gorgeous!! You can feel her twirling in the picture! This image captures such wonderful movement and joy! in love with this shot! the movement, her profile, the colors - beautiful! too fun! I was just telling hubbie we need to get the trampoline out of storage! Oh this is to cool! Great shot!! Wow! This is a great shot! Fun capture! Beautiful blue sky too!